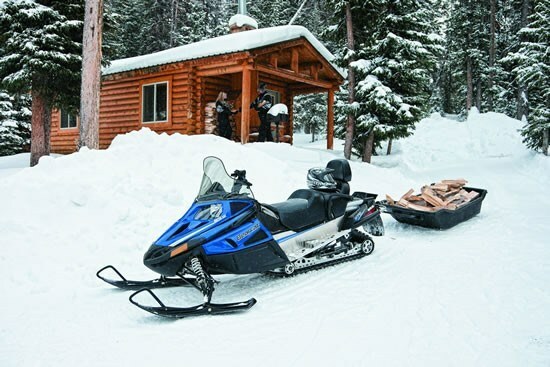 Utility, this design segment gets the job done, weather you need to haul ice fishing gear to the hut, materials to the hunt camp, or navigate hundreds of kilometres of remote back country, these machines allow you to bring everything you need. Although utility machines have evolved over their history to become more ergonomically friendly and increasingly capable, the primary purpose has not changed which is to get the task done. Arctic Cat has been in this market for a long time their Bearcat model has been getting the job done in the ski industry for decades. The Bearcat has evolved over the years to become increasingly work ready. It can be difficult to find a used Bearcat for sale because people who buy and use these machines usually keep them around. They are built to last, they are rough and tough and you can be assured if you buy a new or used Bearcat that it will be with you for a many winters. 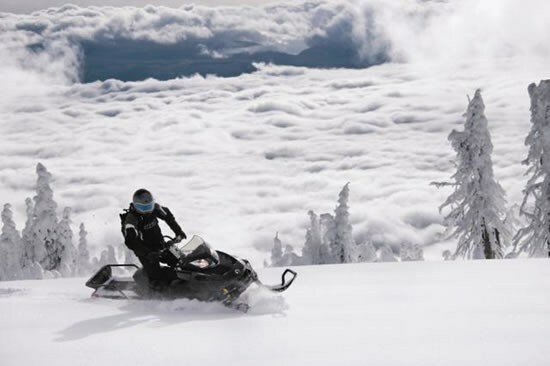 Polaris’s IQ Widetrack was used in the Winter X-Games to take the athletes to the top of the runs. This machine has lots of room for everything you need to bring. Cool features like the spacious under seat storage and a heated glove box allows you to pack to stay warm on those long trips into the woods. Polaris has designed these machines to be capable and nimble in wooded areas. With a wide track and short turning radius the Polaris IQ Widetrack will take you where you need to go. Ski-Doo is the founder of the utility market; after all they invented the snowmobile. The Skandic and Tundra models have been around for decades. Many of the early models are still in use today by ice fisherman, trappers and camp owners because of their simplicity, reliability and durability. 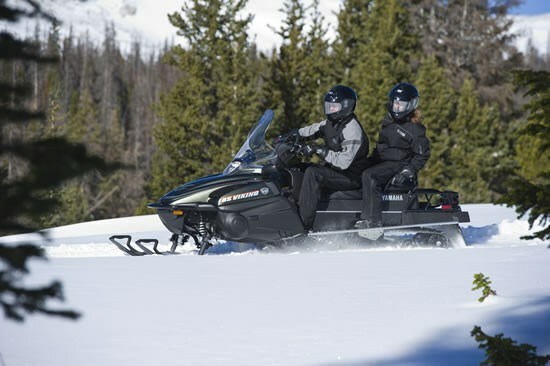 Ski-Doo has recently introduced the Expedition to compliment the Tundra and Skandic models. The Expedition has it all, including a standard warn winch and air ride suspension. The Expedition and can take you and your whole camp wherever you need to go. Yamaha no longer sells the Bravo, but if you can find one of these gems from the past you are in luck! The Yamaha Bravo is known as one of the most reliable and capable work machines ever built. Many of these snowmobiles were built in the 1980’s and are still in use today. There are even fanatics out there buying them to restore them to bring back the good old times. 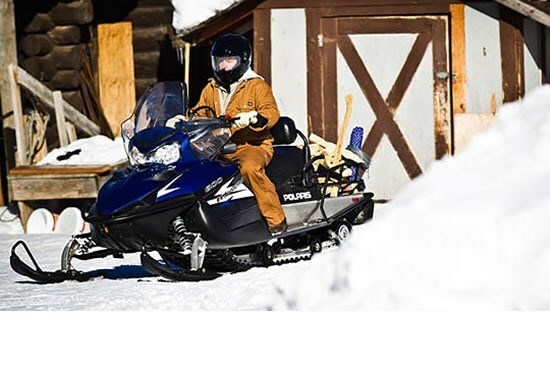 However, if you aren’t ready to break out your leg warmers and neon pants but still want a Yamaha that works check out the Viking professional. The Viking is extremely popular in the ski and mining industry due to its amazing durability and incredible hauling power.